Microblading is a semi-permanent make-up technique that is used to improve eyebrow definition, to extend the eyebrows, cover up bald spots or may be used as a full brow reconstruction if there is little to no hair. 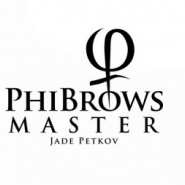 Microblading strokes are applied individually, allowing the artist to control the shape, color and density of the completed eyebrows and for a more natural look. The artist will make small incisions in the superficial upper layer of the skin and deposit the pigment. Eyebrow shape and density is dependent on your face shape and preferences. A follow-up consultation may be required 6-8 weeks later is to touch up and ensure durability of the micro-pigments and ensure that the eyebrows are healing well. Pigmentation lasts between 6 – 18 months if proper aftercare guidelines are maintained. Touch ups may be required every 2 years. My experience was a nerve-racking experience, my one brow was numbed more than the other side and I didn't feel the once side, however when it came to the second brow it was so painful we had to stop and apply numbing cream again, beside that when I got up from the table my brows was definitely not twins they were cousins! lol! 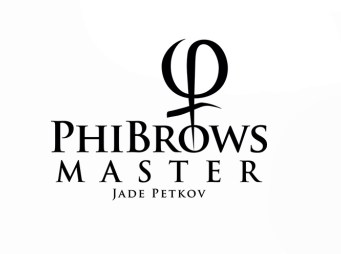 I laugh now but then I was in a panic, after a few days I was not happy and I went back to my PhIbrow Master Specialist and I told her exactly where I needed more strokes and to point out my edges, now they are perfect! What I will say about this service is that, its like a permanent tattoo, once its there, there is no turning back, you need too need to get the right person, so go through their before and after pictures closely! Hope this helps someone out there interested in getting their brows done. I had my brows done by Rachelli at the laser beautique in melrose arch. Despite the numbing cream you d feel it a bit however your brows will look amazing afterwards! my only qualm is that the lines were quite thick and over time blur together. Who doesn’t want perfect eyebrows 24/7? I’ve never had "nice" eyebrows. They naturally and barely noticeable which meant I spent a lot of time and brow products trying to achieve the perfect Instagram eyebrow every morning. I had done a lot of research on microblading (and watched a lot of YouTube videos) so needless to say I was rather nervous before the procedure. Jade was amazing! She patiently talked me through all the steps of the procedure and my many many questions - which definitely helped distract from feeling the microblading tool work its magic as she didn’t use any numbing cream. It was not as painful as I feared, more like a light stinging pain quite similar to a cat scratch. Days following the procedure I did experience a lot of peeling and as a result lost some pigmentation as well. Depending on your skin type can be expected (I’m oily) so sticking to a strict after-care regime is important! Still have to go for my follow up consultation but will keep you updated!